The weather in Baltimore is finally getting warmer, which means there is only one thing on my mind: Crabs. Baltimore is known for its huge blue crabs native to the Chesapeake Bay and for the sacred spice concoction, Old Bay. The two are as good of a pair as Jay Z and Beyoncé. Crabmeat is used for all different recipes including crab dip, crab pretzels or my absolute favorite, crab cakes. For all who don’t know, a crab cake is the combination of lump crabmeat, some spices and usually some type of sauce to help keep the cake from falling apart. The end product is a buttery and flavorful patty stuffed to the brink with delicious lump crabmeat. For all you out-of-staters and those Baltimoreans who may not be crab cake connoisseurs, I have compiled my list of the top places to chow down on one of these Baltimore favorites. G&M Restaurant and Lounge (804 N. Hammonds Ferry Rd.) – We’re starting off the list with one of my all-time favorites. The restaurant has a formal restaurant side and then the lounge area, comprised of just an ordering counter and a few picnic style tables. The eight-ounce crab cakes here are served either as a platter with choice of side ($18) or as a sandwich served with fries ($15). Whichever you prefer, the cakes are huge and broiled to perfection with all lump meat. Jimmy’s Famous Seafood (6526 Holabird Ave.) – Jimmy’s Seafood has been a Baltimore favorite since its opening in 1974. With huge portions, fresh seafood and great prices, this is a no brainer for seafood goers. The single platter highlights a family-recipe eight-ounce crab cake and side for a steal. Food Network’s Guy Fieri even had to make his way to Jimmy’s for their famous all lump crab cakes. Koco’s Pub (4301 Harford Rd.) 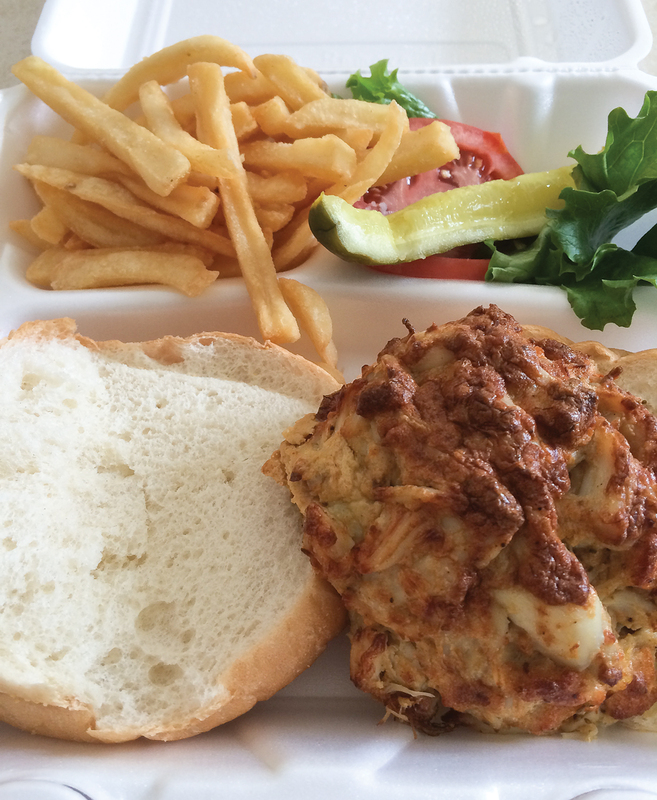 – The tiny bar doesn’t scream crab cakes from its bright yellow exterior, but this quaint neighborhood favorite cooks up 11-ounce jumbo sized cakes ($24.99). Broiled to perfection and served with fries and coleslaw, this is a true sight to see. Pappas Restaurant & Sports Bar (1725 Taylor Ave.) – This has been a family favorite for years. My family and I are huge seafood junkies and Pappas definitely has some fantastic crab cakes. Their eight-ounce colossal lump crab cake ($19.99) is served with two sides and plenty of flavor with their special spice blend mixed into the cakes. 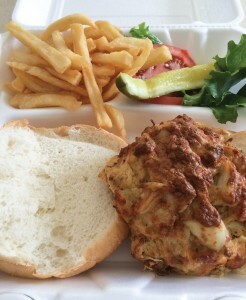 Though this list isn’t exhaustive, these are a few of my favorite crab cake restaurants. Baltimore is full of specialty seafood restaurants. With the bay a short drive away and the summer only a few weeks away, blue crab season is just around the corner. Whether you like your crabs steamed, broiled as crab cakes, or concocted into cheesy crab dip, go out and enjoy this Maryland delicacy. Until next time. I wish you GoodEats!